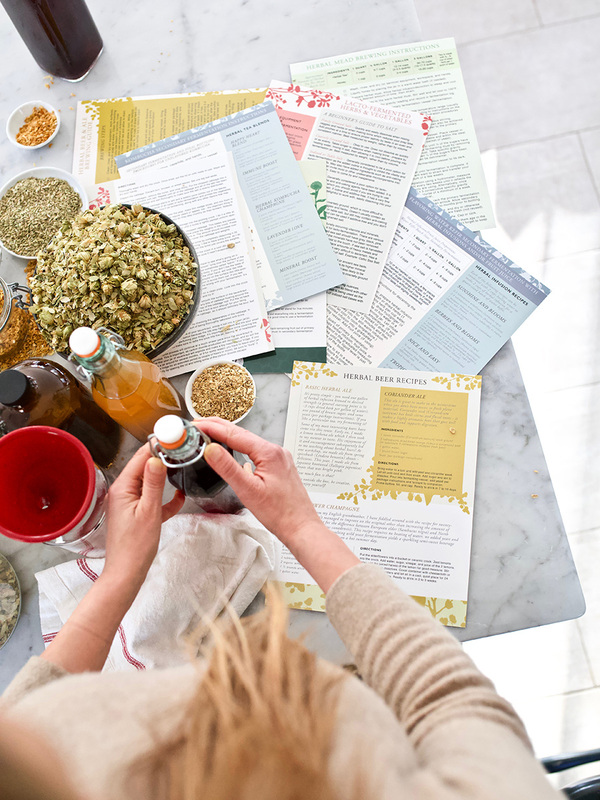 Discover the science of botanical identification and the art of wildcrafting through this captivating voyage into wild edible and herbal botanicals! 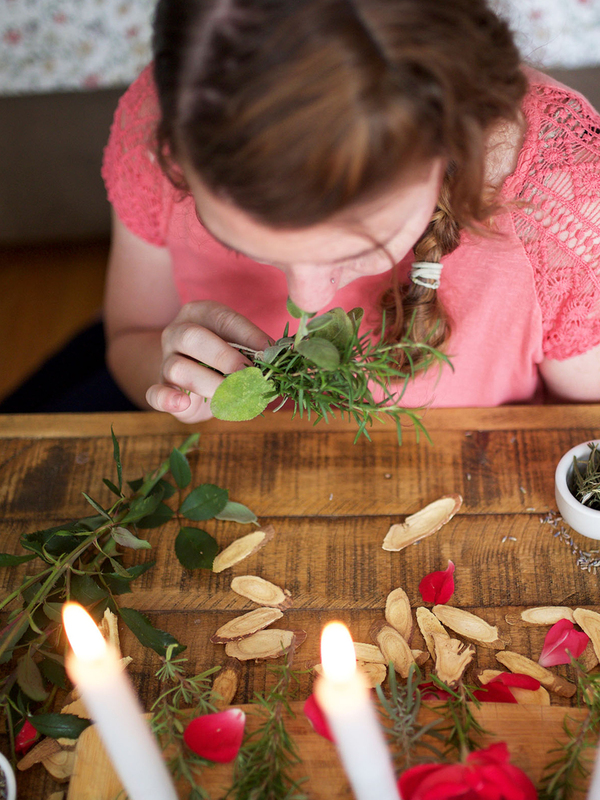 The Botany & Wildcrafting Course, curated by the Herbal Academy team of educators, starts by exploring plants as living beings, their fascinating ecological relationships, and the ways that our own ecosystem can shape our relationship with plants. This course delves into characteristics of plant parts and the use of dichotomous keys for plant identification, as well as the identification of botanical families and patterns in nature. Hands-on lessons on drawing plants and creating a pressed plant herbarium encourage one-on-one engagement with the plant kingdom. We’ll get you started wildcrafting with a discussion on wildcrafting ethics and techniques, an understanding of at-risk plant species, and botanical, edible, and herbal characteristics of 25 common wild plants. Choose to upgrade your enrollment with our Botanical Illustrations Workbook, featuring 25 monograph summaries and botanically accurate plant illustrations also spotlighted throughout this class! The Botany & Wildcrafting Course explores plants as living beings and their fascinating ecological relationships with other organisms, as well as the ways in which our own ecosystem can shape how we incorporate plants into our lives. Together we will explore the visual characteristics of plant parts and learn how to use dichotomous keys for plant identification. We’ll learn tips and tools for identifying botanical families and patterns in nature, and how our familiarity with various plant families can help inform our ability to identify plants and in some cases, understand how we can use them. We’ll get hands-on with lessons dedicated to more artistic ways of engaging with the plant kingdom through drawing (everyone can do it!) and creating a personal herbarium of pressed plant specimens. Together, we’ll dive into the ethics and techniques of wild-harvesting, and introduce many common wild edibles and herbs (and how to identify and use them!) as well as at-risk plant species, all which require the stewardship of conscientious plant-lovers. With plant monographs as a handy reference for 25 common wild edibles and herbs, you will gain confidence as you endeavor to identify these plants on your own. Botany is the doorway to understanding plants on a deeper level. This is a one year access introductory to intermediate level course for budding herbalists and wildcrafters who wish to identify and become more familiar with common wild edibles, herbs, and at-risk plants, as well as gain an understanding of the big picture of plant ecology and how human practices such as wild-harvesting can impact this ecology. Through the study of botanical features and engagement with plants in new ways, the written lessons and videos in this course provide the tools for a wealth of discoveries about the plant kingdom! How did plants evolve and what is their relationship with other living beings? How do plants nourish themselves? What strategies have plants evolved to reproduce and spread? What traits have plants evolved to attract pollinators? What is the relationship between plants and fungi? How do plants interact with one another? How do plants respond to shifts in their environment? 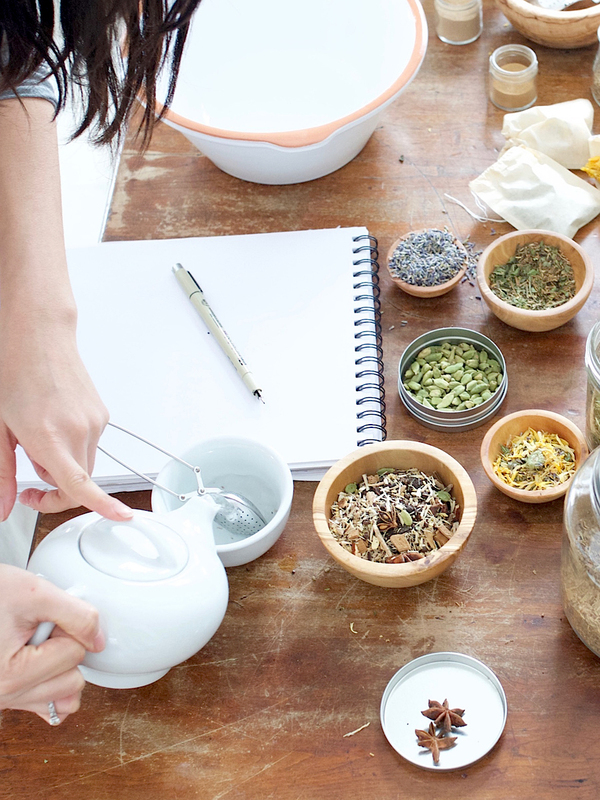 How might our herbalism practice affect our own ecosystem? How can harvesting local plants respectfully be an act of environmental activism? How are plants organized by botanists? What are the terms used to describe plants and plant parts and what do they mean? What are the different shapes and sizes that plants and plant parts come in? What does a plant’s family or genus tell us about its use? How do we know that a plant is ‘at-risk’ and what does that mean? What are some common wild plants that can be harvested for edible and herbal use? How can wild plants be harvested responsibly? What is my role in my local ecosystem? You will have a whole new language with which to talk about and understand plants. You will be able to name all the parts of a plant including the parts that make up flowers, leaves, fruits, and stems. You will be able to identify new plants anywhere in the world using a dichotomous key. You will understand how to decipher differences between leaves, flowers, and fruits of separate plant species. You will be able to decode patterns in nature and gain insight into plant relationships and herbal and edible use by understanding these patterns. You will understand how and when to use a plant’s binomial name and discover why a plant might have more than one name. You will be able to safely wild harvest and use at least 25 commonly found wild edibles and herbs. You will be able to dry plants in a way that maintains their vitality, aroma, color, and flavor. You will have a sense of the vast number of relationships that exist between plants and other organisms that are required for pollination, seed dispersal, and survival. You will have tools to get to know plants on a deeper level through keying, drawing, coloring, and organoleptic identification. You will know how to create your very own herbarium of pressed plant specimens. You will look at nature through an entirely new lens. As you will discover in the Botany & Wildcrafting Course, there are so many ways to get to know plants—from foraging for wild dandelion greens to reading botanical identification texts to experiencing herbs directly through sipping raspberry leaf tea or taking elderberry syrup. In Unit 2 of this course, you will expand your plant identification skills under the guidance of Kristine Brown of Herbal Roots Zine as you learn to create your own botanical illustrations. As a tuition option, you can also upgrade to receive our Botanical Illustrations Workbook, including 25 botanically accurate illustrations ready for your coloring skills, summary monographs from class to complete your learning experience, and blank pages for additional sketches and note-taking! The plants featured in this workbook are also spotlighted in the Botany & Wildcrafting Course lessons. Coloring each plant as you learn about its identifying features and edible and herbal uses is a great way to cement your knowledge of these special wild plants. 1 year access to the online portion of the program. 3 instructional units including both written and video lessons and both audio and video tutorials. Downloadable transcripts are available for all video lessons and instructional audio and video tutorials. Download helpful charts throughout the course and print for easy reference. Learn about commonly found wild edibles and herbs through our lesson monographs. All lessons are available for download as PDFs to print for your continued use. Bring the classroom even more to life by continuing the discussion with fellow students and teachers in our student-only online community group. Save on your herbs and supplies with exclusive student discounts from herbal partners. The course begins by introducing you to plants as living beings —how they grow and develop, how they nourish themselves, how they reproduce and spread, as well as when plants appeared on Earth and how they fit into and interact with the diverse web of living organisms on our planet. Along with a discussion of the complex relationships between plants and pollinators, seed dispersers, fungi, and more, you will be encouraged to consider your own role in the great web of life and your local ecosystem. This unit is chock-full of videos and slideshows for you to get an up-close look at wild plants and their identifying features. We’ll get into the nitty gritty of botanical anatomy and nomenclature, guide you step-by-step through identifying unknown plants using dichotomous keys, and provide you with a new way to look at the plant kingdom so that you can begin to understand patterns in nature and what they tell us about plants and their uses. 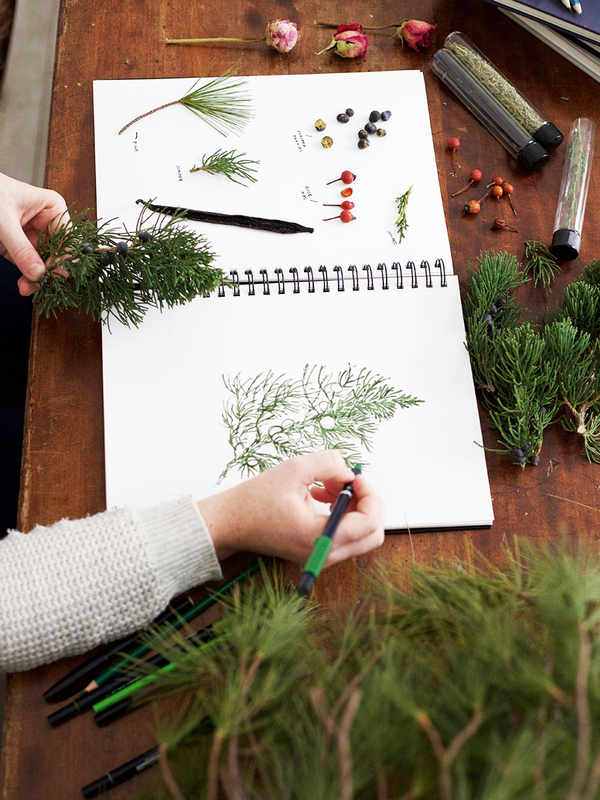 This unit ends with two hands-on lessons—visual guides through botanical drawing and plant specimen preservation. And finally, the harvest! This unit is designed to equip you with the knowledge to safely and responsibly forage for wild plants for your dinner plate or home apothecary. We’ll discuss the ethics involved with harvesting plants from the wild, explore the special considerations for at-risk plants, and share tips for gaining the most out of your wildcrafting adventures. Information on identification, harvest, and use is provided in monographs for 25 commonly found wild edibles and herbs, and the course wraps up with two lessons to guide you in preserving foraged herbs for year-round use: drying herbs in a way that maintains their vitality and making basic herbal preparations including infusions, decoctions, tinctures, syrups, infused oils, salves, poultices, and compresses. Humans have been botanists for thousands of years, using close observation and pattern recognition to become intimately aware of the plants around them. We welcome you to join us in this discovery journey, and re-awaken these skills within you! The Botany & Wildcrafting Course is estimated at a minimum of 30 hours to complete the entire program lessons and videos. Of course, acquiring that hands-on experience will lengthen this program! We are giving our students 1 full year to complete the course so you can enjoy it again and again. I’m so busy! Do I have to get started with the course right away and do I have to attend lectures at a certain time? Our students LOVE that our courses are self-paced. Enjoy your lessons, our videos, and your hands-on experience on your own time – whenever it fits in your schedule. Class will become available to you as soon as you place your order, but you can start whenever you’d like. Your program is activated only when you click the “Start Course” button. Are the plants covered in the class only in the United States? Like all of our programs, we design our lessons with an international classroom in mind! The Botany & Wildcrafting Course guides the student to be able to identify and forage for plant species anywhere in the world. Many of the specific wild plants mentioned do grow world-wide, although some are more common in North America. We are offering this program with $20 off registration now through the spring! Sign up at the top of this page if you can! Are there any prerequisites to this course? The program is designed for introductory to intermediate level students. If you are a beginner, we welcome you! I love the Botanical Illustrations Workbook. Can I purchase this without the course? Of course! Find our Botanical Illustrations Workbook available for sale in our Goods Shop here! I’m interested in class, but I’m already taking another program. Will this course remain open? We will keep registration open! However, do sign up during our spring sale period if your budget allows. Class is currently $20 off registration. Hold off on getting started in class if you need to. Just click “Start Course” when you are ready to begin. Ready to get started? Scroll to the top of this page to sign up!